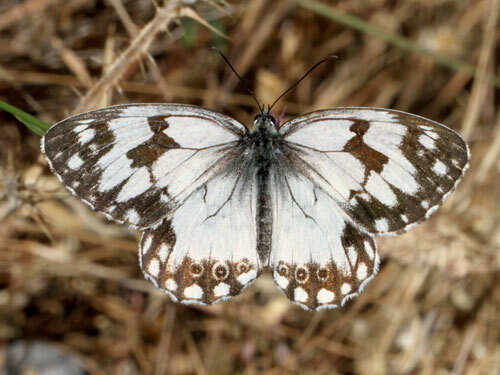 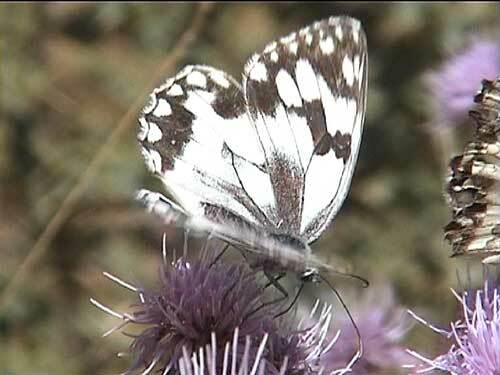 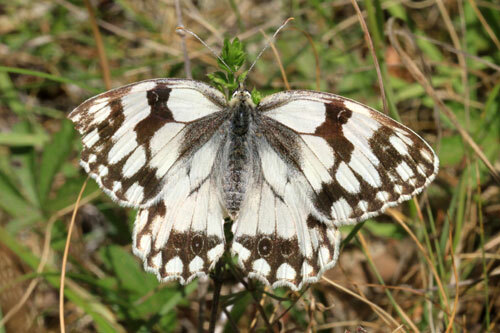 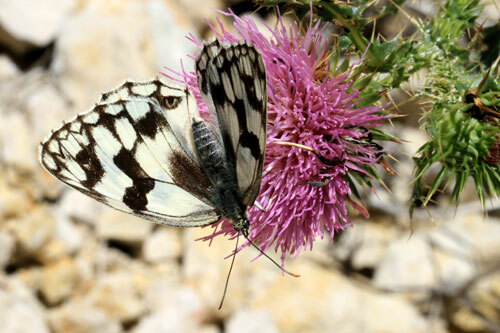 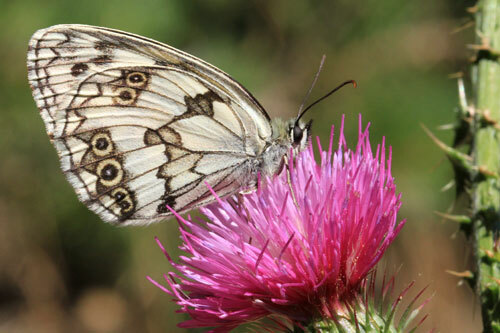 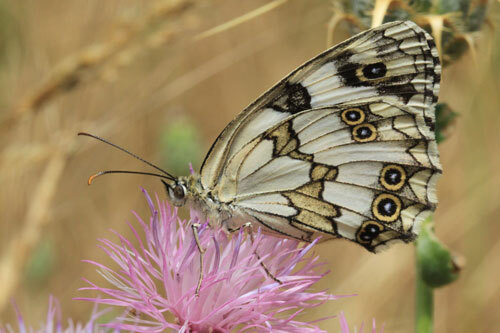 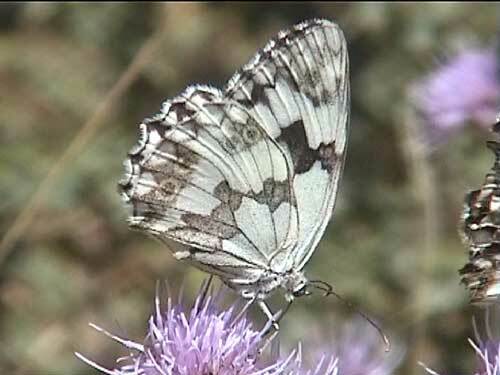 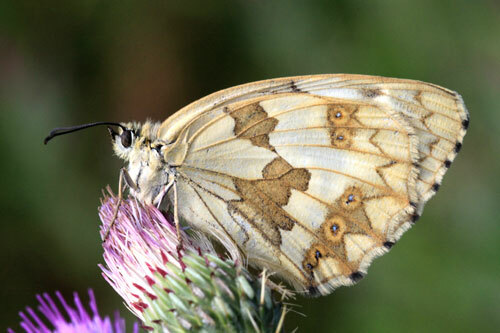 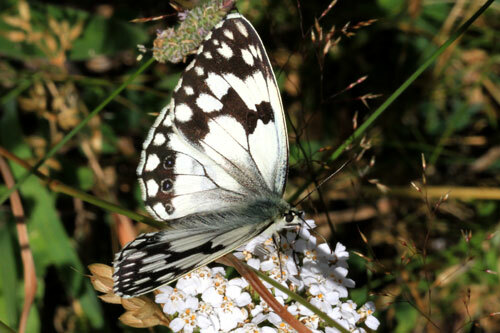 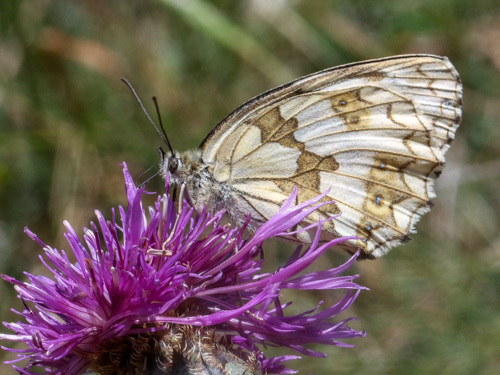 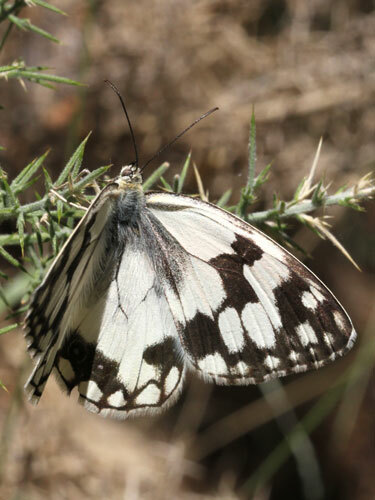 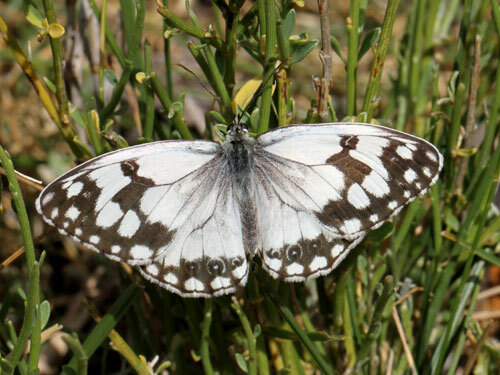 This species replaces the marbled white M. galathea in the Iberian peninsular. 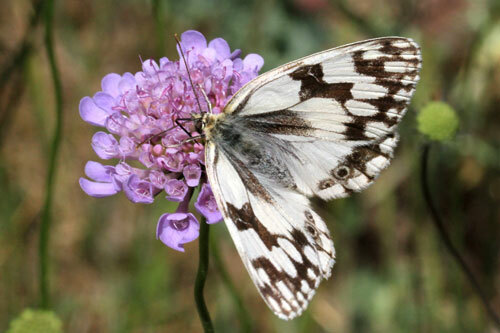 Ranges overlap in north Spain and south France. 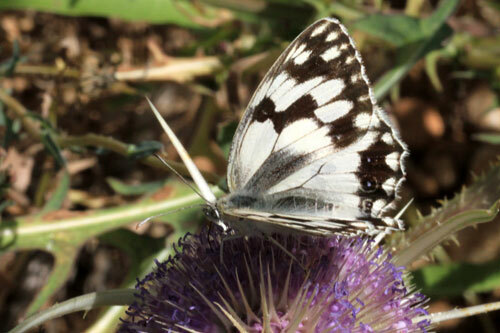 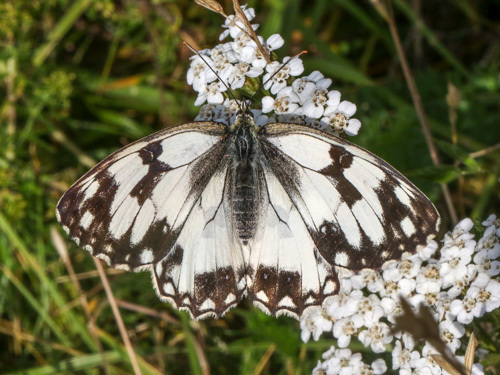 Identification & Similar species: The forewing cell lacks a black cross bar which separates it from all other similar species except the marbled white, M. galathea . 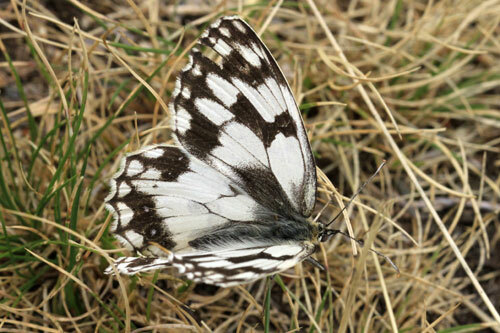 In that species the basal end of the cell is shaded black and the hindwing cell is surrounded in broad black markings lacking in the current species. 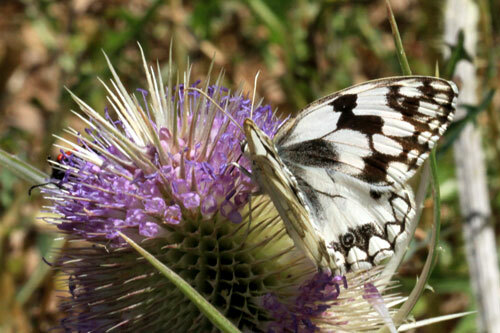 Distribution & Flight: Iberian peninsular, southern France as far as the Rhône valley. 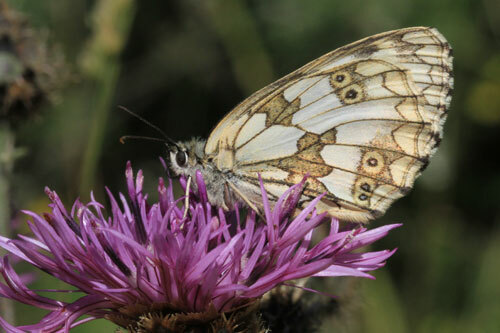 Single brooded in May, June and July. 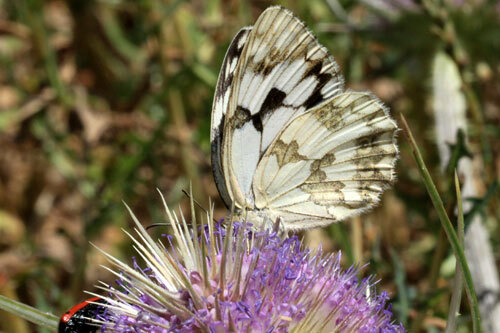 Habitat & Behaviour: Hot dry grassy places with abundant flowers. 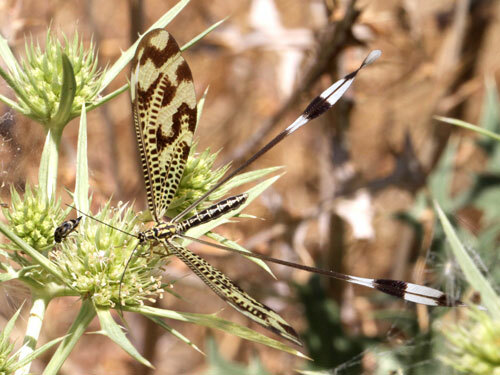 The threadwing antlion Nemoptera bipennis. 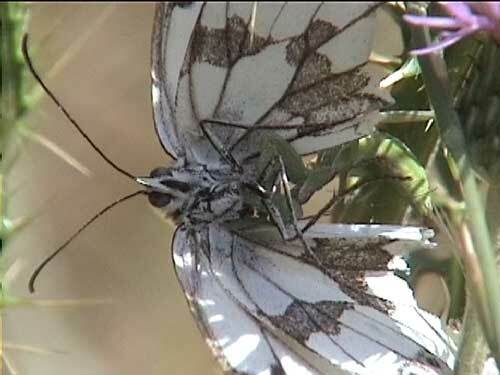 A hidden mantis has taken this butterfly from a flower head.